There are a whole plethora of reasons why you should consider holding your wedding at home, or at your parents’ place – though you should really ask them first! You may want to save money, have total control of your day or make your special occasion even more personal. Whatever the logic there has never been a better time to hold your big day at home. Some marquee suppliers just advertise the hire cost of the actual marquee, and then you receive a nasty surprise when you have to pick up the bill for delivery and set up. Be clear on whether it is possible and practical to collect hired items yourself, or perhaps to rope a few of your fiancé’s strapping mates in to put up the marquee for you. Many couples having a wedding reception at home hire the same number of chairs as guests, and then are baffled when they don’t have enough. Guests will use chairs to put their feet, coats, and drinks on, so hire at least 10% more than you think you need. Be sensible about the size of your home. The space you have to work with is key and you may find that you have to restrict the number of guests to fit everybody in easily. Make sure your bathroom will be suitable for the number of guests you are inviting or whether you will have to hire portable toilets. Could you afford a caterer? Providing food for your own wedding may work out cheaper than a hiring a professional, but it will probably heighten the stress of your day. When you are balancing the cost of a caterer with that of providing and cooking the food yourself, remember that the caterer usually brings cutlery and crockery, and that they will also clean up after the event. 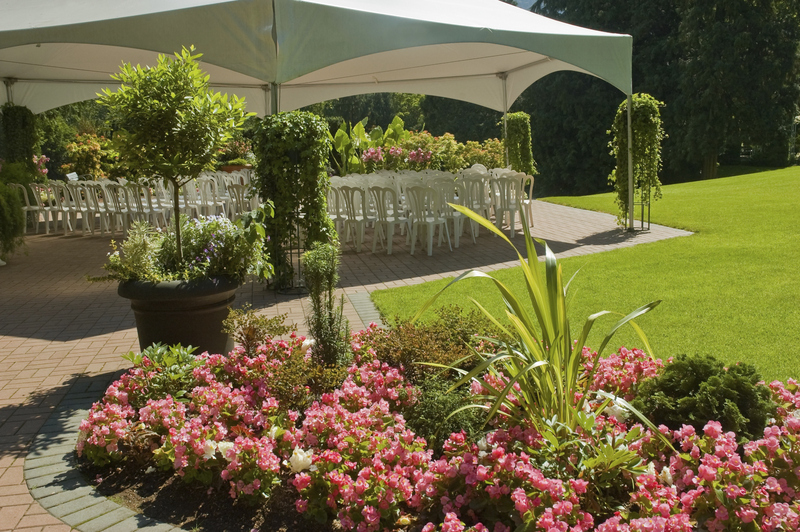 Even if you’re using wedding caterers, you will probably still need additional fridge space. A beer fridge is essential for your wedding at home, and will allow room in your kitchen fridge. You may also want to hire an extra fridge solely for your cake. You wouldn’t want to damage it by accidentally dumping a champagne bottle on top of it. Assuming you are friendly with your neighbours, it is always a good idea to send them an invitation to your wedding. They are bound to experience some aggravation, whether it’s loud music at the end of the night or guests’ cars parked outside their home, and this will be less of a problem if they are invited to the wedding. 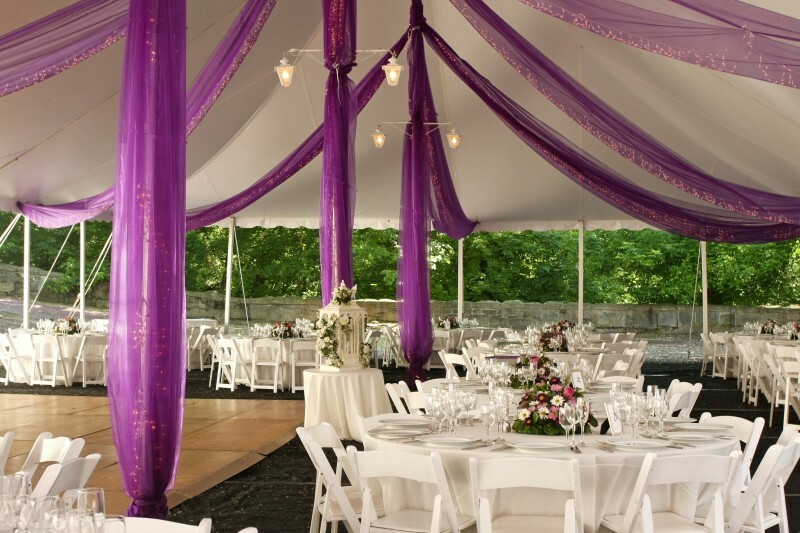 Almost all hire companies will provide you china plates and glassware along with your marquee but make sure you work out the cost with buying good quality disposable crockery and cheap wine glasses instead. If you can buy these items they are often cheaper than hiring, and you won’t need to panic about breaking them and forfeiting your deposit.